Funny how certain holiday traditions and foods crop up in different cultures, no matter how diverse. Witness the bowl of tangerines, symbolizing health and long life (especially with the leaves intact), that’s ubiquitous for the Chinese New Year, which starts today. 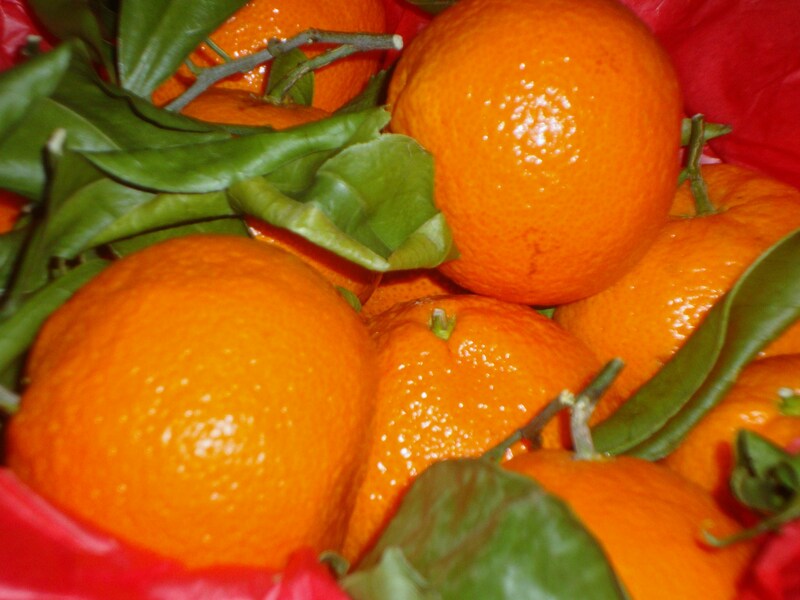 My Eastern European family always kept the same bowl of tangerines on the table throughout the Christmas holiday, accompanied by a bowl of walnuts to crack, or maybe some sweets. And then’s there’s dumplings. Boiled or pan-fried as potstickers, they’re a mainstay of Chinese New Year menus, eaten for good luck. They’re not so far away from the pierogi of my Polish heritage, boiled or pan sautéed, as you prefer. Preparation of a New Year’s Eve menu to welcome the Year of the Dragon got us to talking about how much today’s cooks are coming to rely on the Internet and food blogs like this one to research traditions and recipes that have begun to fade from memory; younger generations don’t have the time or skills to prepare traditional meals, like the many, many courses good friend Amy remembers from her early childhood in Taiwan. Wanting to learn how to prepare those recipes and hand them down to her daughter, she’s tracked down a few authentic Chinese-language blogs with step-by-step advice that have made her realize some dishes she’s long put off trying, like Soy Sauce Chicken, aren’t necessarily as complicated as imagined. She shared a few of her finds as we filled fresh dumpling wrappers with a mixture of ground pork, shredded cabbage, scallions, minced ginger and shallots, with a few splashes of sesame oil and soy sauce. The first of mine were deemed “too Polish looking,” by which Amy meant they didn’t have quite the right folded top and slightly rounded shape that makes these dumplings reminiscent of traditional ancient Chinese coins (hence eating them for good fortune); they looked more like pierogi. And with a husband of Polish-Czech background, Amy knows from pierogi. Eventually I got the hang of it, and half the batch were pan-fried and served with a streamlined Chinese New Year dinner, while the other half were popped in the freezer for later. Baked whole branzini. A whole fish is traditionally brought to the table to signify prosperity in the new year. The branzini was simply stuffed with slices of fresh ginger and scallions, then sprinkled with salt and a touch of rice wine before going into the oven. Soy Sauce Chicken, skillet braised in a sauce of soy, rock sugar and water that reduces down to a sweet-salty glaze. “Oily” greens, steamed and tossed with oyster sauce. 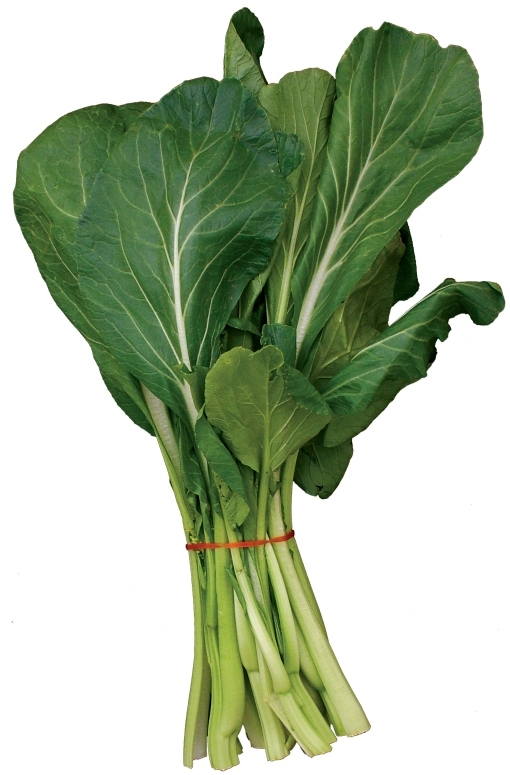 This unfamiliar Asian green, which looks a bit like a cross between Swiss chard and bok choy, takes its colloquial name from the natural sheen of its stalk. Yum. Boy, I was craving long noodles today, which was the traditional Chinese New Year dish at Sarah’s annual brunch (before she moved to San Fran). Now I want dumplings! . And now I want noodles!